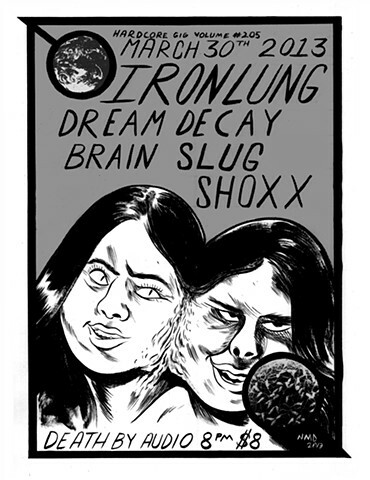 Gig poster for Shoxx, Iron Lung, Dream Decay and Brain Slug gig at Death By Audio (R.I.P.) back in 2013. One of my favorite shows I've had the pleasure of playing.